Regent Life Insurance is a fully licensed life assurer with representation all over South Africa. Regent Life Insurance forms part of the Regent Group, a subsidiary of the Imperial group of companies. As part of this diversified group, Regent Life Insurance adopts a culture of innovation, entrepreneurship and compliance to industry-specific best practices. As a market leader in the industry, the company offers an exceptional range of superior life assurance products and short-term insurance. Immediate Full Cover: Depending on the plan and benefits selected, Immediate Full Cover entitles you to lodge a claim between the date of inception of the finance agreement and date on which the first installment is due and payable. Death: The Lifestyle Protection Plan will settle outstanding finance agreements or credit in the event that your death occurs before the applicable exit age. Total and Permanent Disability: In the event that total and permanent disability occurs before the age of 69, the Lifestyle Protection Plan pays a lump sum equivalent to the death benefit. Temporary Total Disability: In the event of an illness or injury which renders you unable to earn an income before the age of 69, the Lifestyle Protection Plan pays the monthly instalment on the outstanding credit agreements until you have achieved full recovery from the illness or injury. 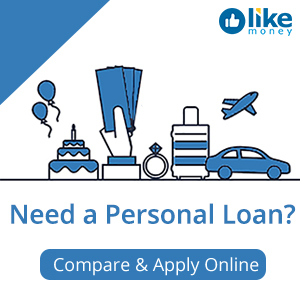 Personal Catastrophe: The Lifestyle Protection Plan will settle your outstanding loan agreements or credit should it happen that you are diagnosed with a permanently disabling condition such as heart attack, paraplegia, blindness, cancer etc before the age of 69. Retrenchment: The Lifestyle Protection Plan Retrenchment Benefit pays out the monthly installment due on your finance agreements in the event that you are retrenched before the age of 69. Payments will be made for a maximum of 3 months and cover is available for two separate retrenchment incidents. Hospitalisation: In the event that you are hospitalised for more than 7 consecutive days, the Lifestyle Protection Plan hospitalisation benefit will pay out the monthly instalment due on your credit agreements for a maximum of three payments. Regent Life Insurance offers an innovative range of funeral plan options which are designed to ensure that your family does not have to pay for funeral arrangements. 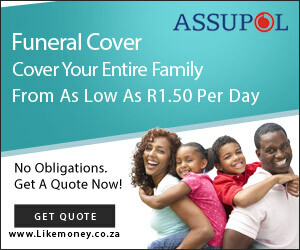 Funeral cover is available for the Main Life Assured, the spouse and up to six children. The Regent Life Insurance death benefit is a lump sum payment issued to your nominated beneficiaries in the event of your death. In the event that the death of the Main Life Assured is accidental, a double lump sum payment becomes payable. Regent Life Insurance through its CareLine offers value-added services 24 hours a day, 365 days a year. This benefit is available to the Main Life Assured, the spouse and dependent children below the age of 21 years. Value-added services include telephonic medical advice, claims assistance, roadside assistance, medical emergency and guaranteed hospital admission. I pay premiums to your company and I do not have a single document from you..Why is your company deducting money on my salary without my consent and knoiwledge. policy number is 9257420C1CCONSOLIDSATION AMOUNT R 255-00. i have referred the matter to my attorneys. I would also like to cancel any policy I have with yourv company. Bought a car 2012 – took out life cover – retrenchment – the agent insures me that if retrenched car will be covered. Retrenched July 2013. Did claim march 2014 only to find in July 2014 that car is only covered for 3 months. WHAT THE F*CK!!!!!! Good day my name is lizwi Bakubaku id no 83032656xxxx i have investment policy with you, i just want to know how do you go about when you want to claim and what documentation do you need. If the is any form i have to fill in kindly email me the form so that i can fill it and send it back to you. I’ve been looking for an email where I can submit for furneral claim since I have a furneral policy with you guys. Regent deducts money from my account every month without authorization, and they refuse to cancel the policy or pay it back. If this is happening to you, report them to the FSB as soon as possible! I need to get clarity on my policy number 908xxx.I have P .Tladi who was covered by this policy and she passed on in March 2011.there was no payout made and I was promised to receive atleast my premiums back.may I kindly request that this matter be dealt with as it was promised by one of your consultants. Hoping to hear from you as soon as possible. I’m a client with policy 9000913xxx.I would like to inform you that my personal and employment details have changed.kindly contact me on 083710xxxx to arrange for debit order. I took a policy with Regent Life , this was a funeral policy .The policy no is 9191956Consolidat .An amount of R 287.68 IS DEBITED monthly but I have not received any contract from you. Please furnish me with the contract . Its been one year since I have jion RL and being a member, yet there is respond from you even an Sms,mail etc updating me of my policy but u still deducting. Another issue, is that your rap promised me that I will get 10% back from my yearly amount but nothing I get yet. All I want now is to cancel the policy. Becouse u act like a Scam. I have a policy with you and I would like to cancel it asap. My policy no is 9181173C1CCONSOLIDAT.. I don’t even have any written proof that I have a policy and you don’t communicate with your clients. Please provide a policy document for money that is being deducted monthly from my bank account. This has been ongoing for months now, maybe even years and I not been able to ascertain what my benefits are. I would like to do a cancellation on this policy: 9324251C1 CConsilidate with immediate effect. hi, I took out an investment plan for 5 years , I don’t have a policy number I would like to cancel the investment as I bought a car recently and I can’t afford to pay an instalment as well as this investment. please contact me on my E-mail above. Could I please receive a electronic copy of my policy. I have a policy which I applied for in 2010 and I have never received any communication since, I do however spot the deduction on my salary advice. I am an educator, was very young when I decided to take the policy and have since failed in making time to make contact, but I do feel that some level of communication must be taking place, which is not happening. Could I kindly make contact with a consultant from Regent Life so that I can assess the use/need of this policy I have been paying since 2010. Please could you email me details of my current funeral and investment policy as it has been a while since i was updated with these.my I’d no.820827533xxxx. Good day, can u please help me with the cancellation of the policy as soon as possible. I am sending you this written notice to request cancellation of my policy insurance effective (29-August-2016). I would appreciate you sending written confirmation of cancellation from your side as well. Please refund the unused portion of my policy premium and cease charging my bank account or Monthly Salary (pay cheque) for payment of monthly premiums. STAY AWAY FROM REGENT LIFE – I HAVE BEEN TRYING FOR TWO YEARS TO HAVE A DREAD DISEASE CLAIM RECOGNIZED BY THEM BUT THEY KEEP ON SENDING ME THE SAME DOCUMENTS TO FILL IN DESPITE HAVING SENT THEM ALL THE DOCUMENTS THEY REQUEASTED. my opinion : STAY AWAY !!!!! I am interested in opening a business at my location .It will be concentrating on doing SAVINGS AND FUNERAL PARLOUS. This will be under the name of REGENT LIFE SAVINGS AND FUNERAL PARLOUR.I have worked for regent life for four years then I got matters then I resigned. I fell sick now I am fine I am going to run this business with a partner.I want to talk to the right person dealing with the REGENT BUSINESS.We want the Name with the letterhead and the content be of REGENT LIFE.We will design our own PC Programme.Our building and staff.But according to the training we will train our staff .If it wanted to attend the meeting the person incharge will organise the meeting .Both or one of us will attend the meeting at due date and time and the place to be chosen.This is not the comment but the business interest gesture. I think you will find everything in order. Please provide me with your fax number or email address I need to send a letter of cancellation due to financial problems with immediate effect. your speedy response will be high appreciated. I have a policy to be cancelled. I got an e-mail address vapsadmininbox@regent.co.za but it does not work. I then sent it to info@regent.co.za. Trust that it will be attended too. I have an investment which I think has matured, how do I claim? I need to cancell my policy, you regent deserve a visit from consumer protector! I just realised now that I apparently have a policy with you and have been paying it for the past 3 months,but what’s crazy is that I don’t remember even talking to someone from your campany let alone take insurance from you. Please get back to me with the documents/phone recoding that proves that I even joined within the next 24hours or else I’ll sue the living lights out of you. Cancel the damn thing also,your 24hours starts now at 17h40 the 13th September 2017. I need someone to contact regarding my policy I have with Regent. My number is 083645xxxx. I need my policy to be cancelled with immediate effect, policy number: 165051. I need to contacted with regards to this insurance I’ve never sign up for such let alone have a contract from you guys. I cancelled my two policies (REGENTLIFE 9378640 and REGENTLIFE 895581) I had with Regent Life. I notice with surprise from my bank statement that REGENTLIFE is still continuing to deduct premiums of R757.00 and R272.66 respectively. I hereby want you to repay this money back into my Nedbank account urgently. Are you looking for HIV cover? We are not a financial services provider, our unique content is for information purposes only and in no way constitutes and legal or financial advise. We will in no way be held liable as a result of any information we provide in our website.